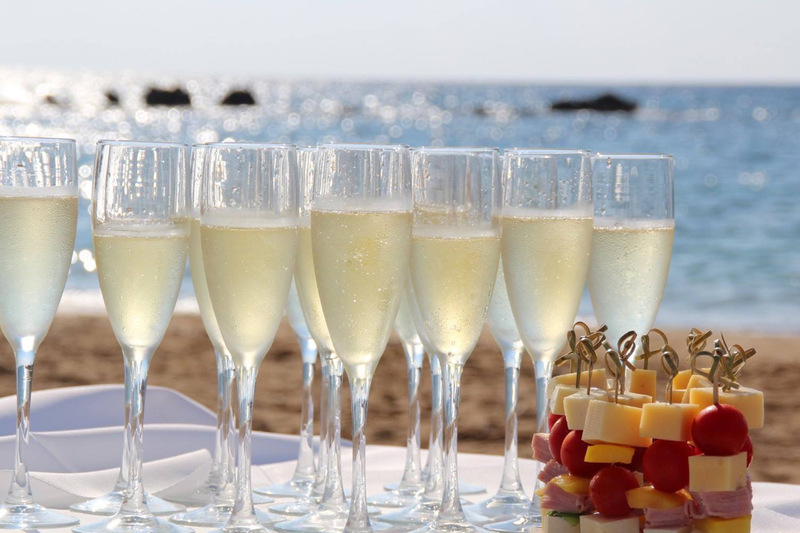 A warm welcome to Kefalonia Sun & Sea Weddings from Kostas And Annie, the most experienced and qualified Kefalonia wedding Planners. "Kefalonia Sun & Sea Weddings" is the leading brand name in organizing weddings at the one of the most beautiful islands of Greece. Having great experience in organizing weddings in Kefalonia, which began 17 years ago, we create the wedding of your dreams with great consistency in plan followed each wedding ceremony, emphasizing the details with tender loving care. We offer impeccable wedding services, superb wedding locations, and are with you every step of the way. Kefalonia, is the island with the most beautiful landscapes and the most magnificent beaches, and combines mountain and sea, with too many attractions for visitors. These are the reasons that make the island of Kefalonia appealing to all those seeking something special and unusual. Your personal wedding planners in Kefalonia, will guide you to the right directions in order to choose among the large variety of options that we offer, for your best wedding venue in Kefalonia. We add a lot of new wedding venues to our list during the year, just to give you the advantage to find your ideal one!Some of the most popular wedding venues are the sandy and pebbly beaches in Kefalonia, the picturesque stone chapels, the unique monuments, the beautiful bays and more that complete the perfect puzzle of Kefalonia's beuties!All places in the beautiful island of Kefalonia are in our list, so if you prefer to have your wedding in Argostoli ,Lassi, Lourdas, Svoronata, Fiscardo, Assos, Aghia efimia, Skala , either in Lixouri , we are here to help you choose the right venue for you! Your personalities and your wishes, are our priorities which help us to create the perfect wedding concept , built from your characters! With respect and willingness to organize your special wedding day in Kefalonia, your kefalonian wedding planners help you work out the budget, and make a plan for the whole wedding event. We undertake legal paperwork for your Kefalonia Town Hall Ceremony, book the wedding day and offer unique Kefalonia wedding venues and locations. In addition, we will help you choose the perfect kefalonia wedding villas or hotels for you and your guets and provide you many comforts and services such as music, photographers, flower arrangements, wedding and dinners and so much more that make your Kefalonia wedding day memorable! We now accept bookings for 2019, 2020 and 2021. Our goal ? To create your Kefalonia Dream Wedding for you and your guests!! !